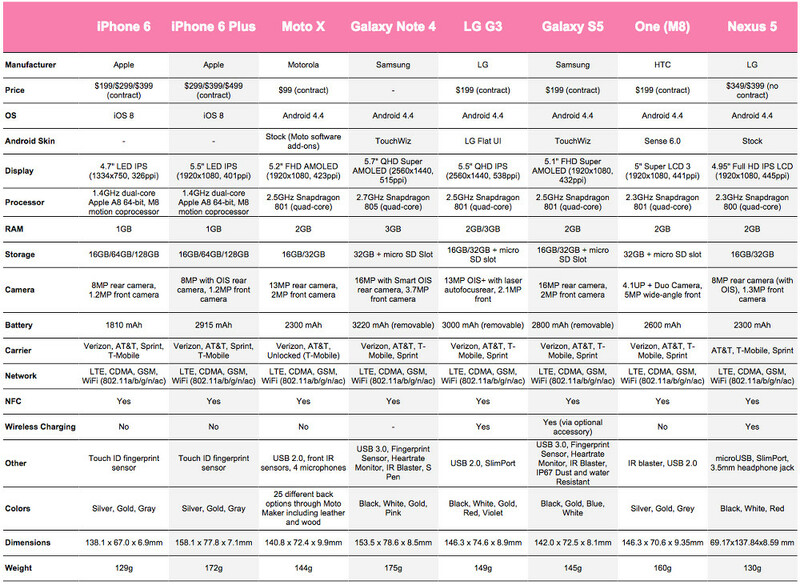 Apple is done showing off the new iPhone 6 and iPhone 6 Plus (official names), so we slapped their available specs into a chart below to show how they stack up against Android’s current flagship devices. The new Moto X and Galaxy Note 4 are as new as these new Apple devices, but the Galaxy S5, LG G3, and One (M8) are veterans at this point. Still, Android devices have pushed the limits of specs for years now, often upgrading specs here and there throughout the year with new models. 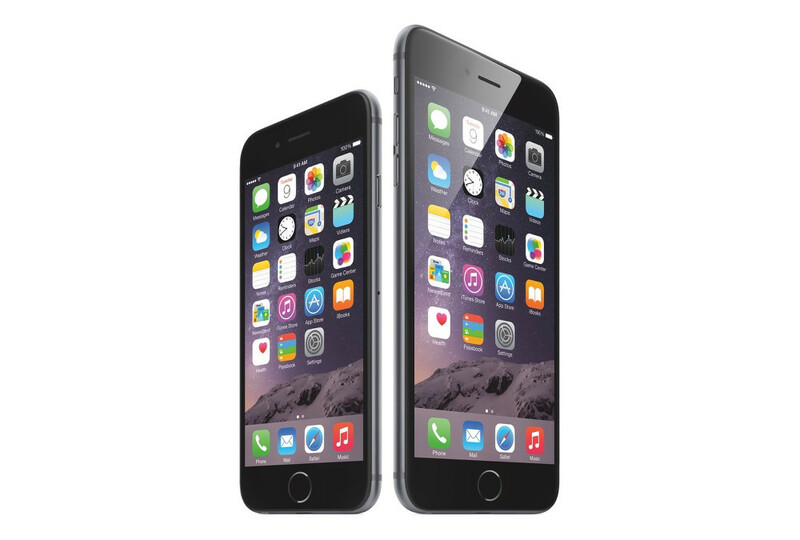 Apple still only gives us one (now two) phone(s) per year, but every so often, comes out swinging with a major upgrade, like they did last year with their 64-bit processor. In the chart below, you will see Apple’s new storage scheme (they are skipping 32GB), the new bigger displays and their resolutions, inclusion of new chips like NFC, and the weight and size measurements of devices that are now on the same level as you favorite Android phones. You have to admit that it feels a little odd to have Apple in our oversized phone neighborhood, but the move shouldn’t surprise anyone. *Note: If we find official specs for the battery and RAM, we will update this post. Update: Processor, RAM, and battery info from Gizmodo.